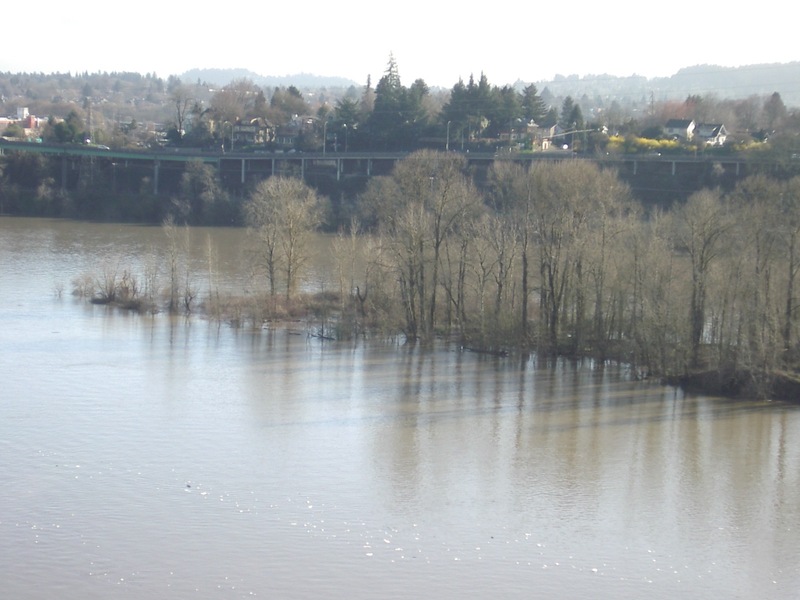 Near Downtown Portland: Ross Island is still sinking, although it’s more slowly over the past two weeks. 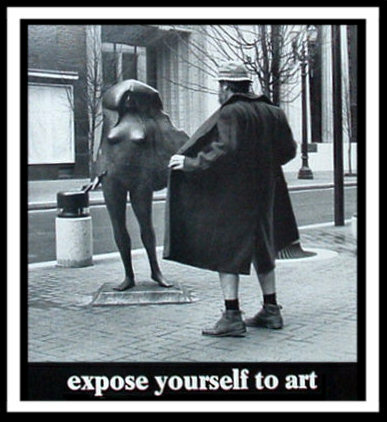 Bud Clark, the weirdest mayor? Portland historically has been viewed as a less-sophisticated Seattle wannabe. 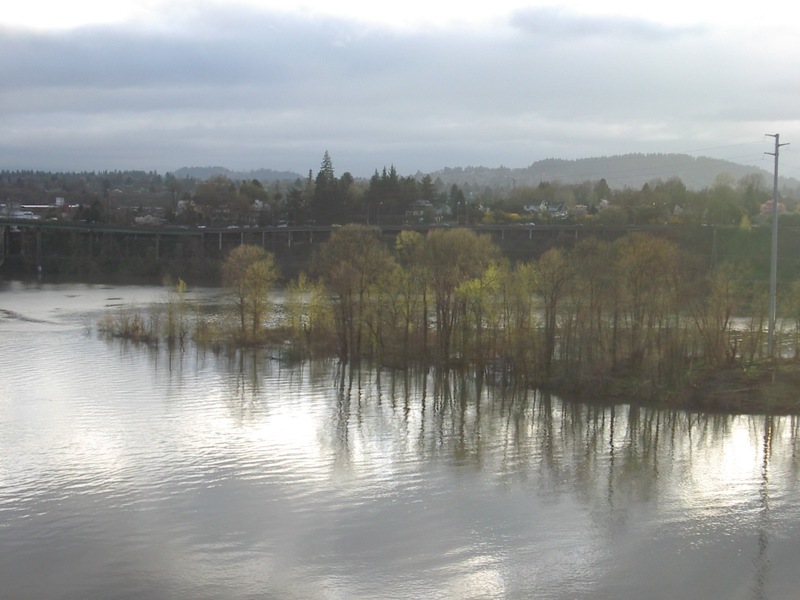 So Portland has always proclaimed why it is better than its neighbor to the north. Seattle has Starbucks, Microsoft and Amazon. Portland has Nike. Sonoma County –where I spent the last twenty years in Santa Rosa before recently moving back to the Northwest’s Rose City – has a similar view of Napa. The slogan, “Sonoma makes wine; Napa makes auto parts,” is often credited to Sonoman Tom Smothers. Napa doesn’t recognize the existence of Sonoma. Having become hip, in large part a result of television’s “Portlandia” comedy, Portland now self-consciously wants to keep Portland weird. 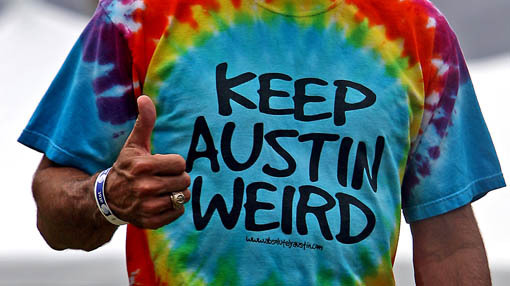 I was recently in Austin, Texas, where the slogan “Keep Austin Weird” is unavoidable. 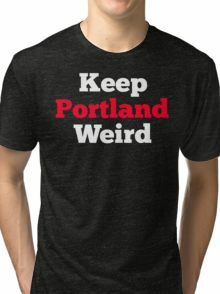 Rather than compete with Austin, however, OregonLive, the on-line remnant of the once-proud Oregonian newspaper, has declared that Portland is weirder than San Francisco. Not that San Francisco claims to be weird or cares much what Portland thinks. They just refer to their home as The City. OregonLive enumerated all the things making Portland weirder than the City by the Bay, from having a weirder mayor to a weirder NBA star. If you care, you can peruse the list here. Posted byGeorge Rothert March 30, 2017 March 29, 2017 Posted inFunny Stuff, PlacesTags: Austin, Keep Weird, Portland, Portlandia, Sann FranciscoLeave a comment on Who’s Weirder… or Weirdest? Not sure what a dog crapping on the sidewalk has to do with quiet time. 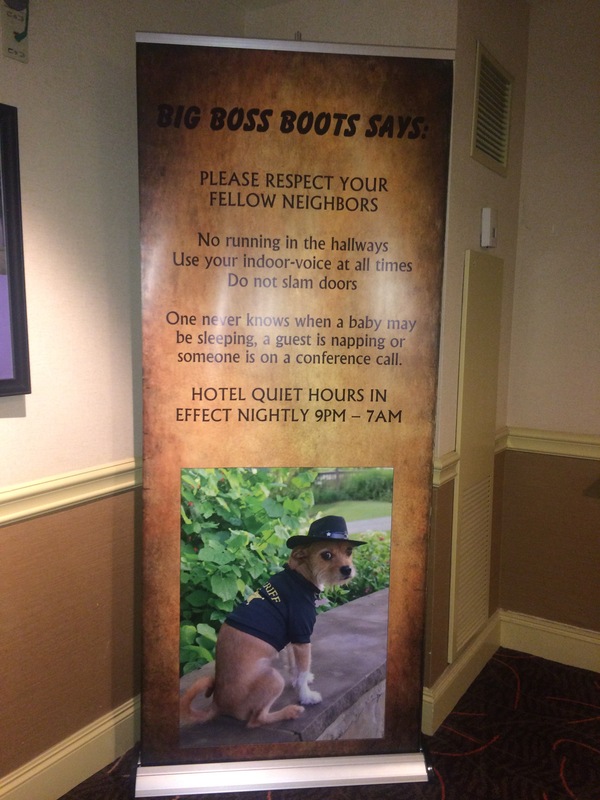 Maybe it’s a Texas thing. Brexit – the United Kingdom’s referendum vote to leave the European Union – has inspired crackpot ideas for a “Calexit” – California going it alone, or various combinations of Blue States leaving the Union. Some Texans believe that state has the right to secede, and should. Some states tried that in 1861. If you took U.S. History in high school, you may remember how that turned out. And there is the State of Jefferson, convinced it will become the 51st state. 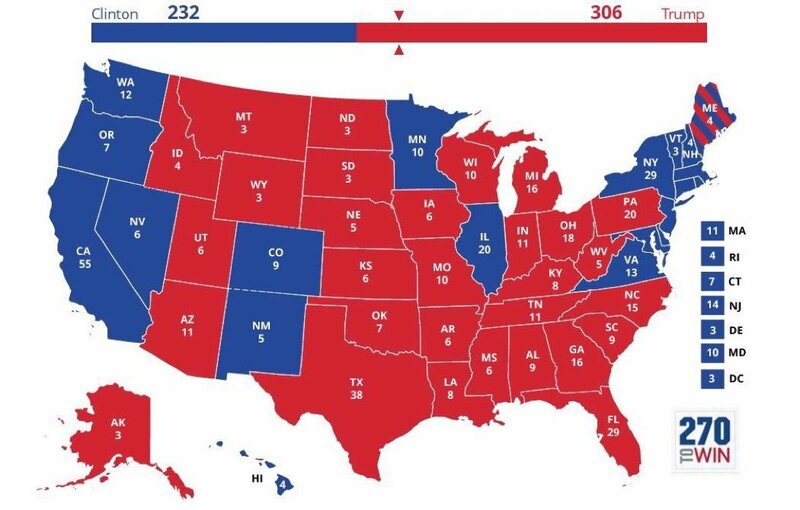 Writer Kevin Baker has decided it is time for the Blue States to secede. Not formally, but by letting the conservatives realize their dreams and let their Red-State constituents enjoy all that freedom from taxation and government oppression. “For more than 80 years now, we—the residents of what some people like to call Blue America, but which I prefer to think of as the United States of We Pay Our Own Damn Way—have shelled out far more in federal tax monies than we took in. We have funded massive infrastructure projects in your rural counties, subsidized your schools and your power plants and your nursing homes, sent you entire industries, and simultaneously absorbed the most destitute, unskilled, and oppressed portions of your populations, white and black alike. “All of which, it turns out, only left you more bitter, white, and alt-right than ever. “So here’s my modest proposal: “You go your way, we go ours. Read his entire rant, published in the New Republic. 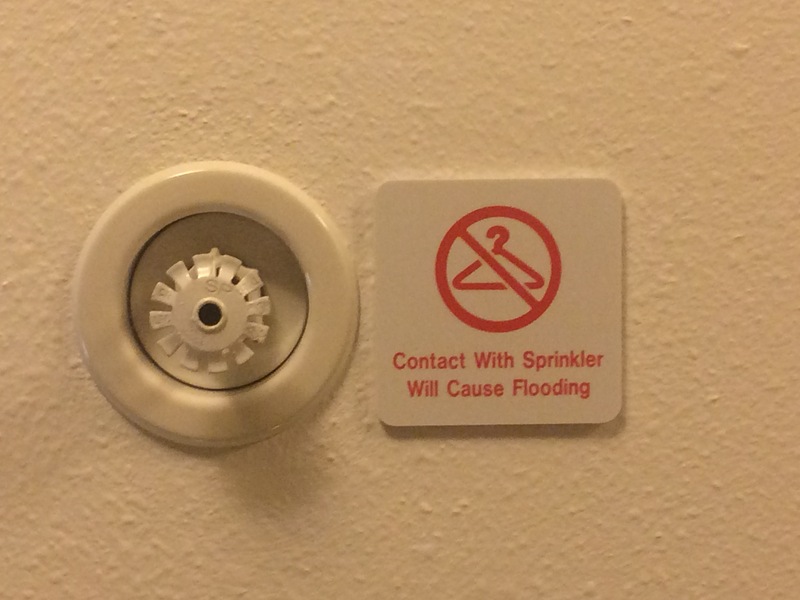 One can only assume that at least once somebody has hung clothes from a sprinkler head. 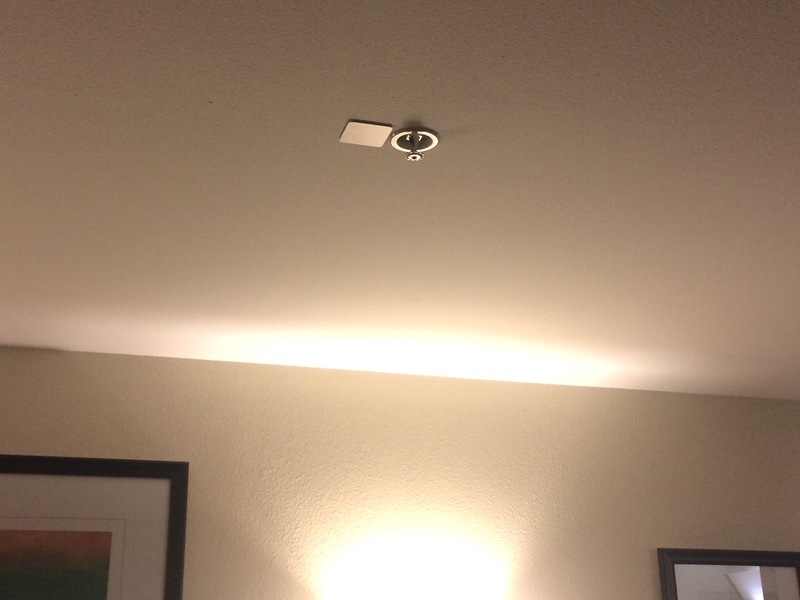 These warning signs are not uncommon in hotels, but this is the first one I’ve see in the middle of the ceiling. Our President’s budget proposal designates $2.6 billion to design and begin to build the wall along the Mexican border. Estimates of cost to build the whole thing range as high as $25 billion. So far, no details on Mexico’s paying for it. (The simplest way, based on the history of Trump projects, would be to hire Mexican contractors and then not pay them.) The budget also requests money to hire twenty additional attorneys to pursue condemnation of privately-owned land for the wall. 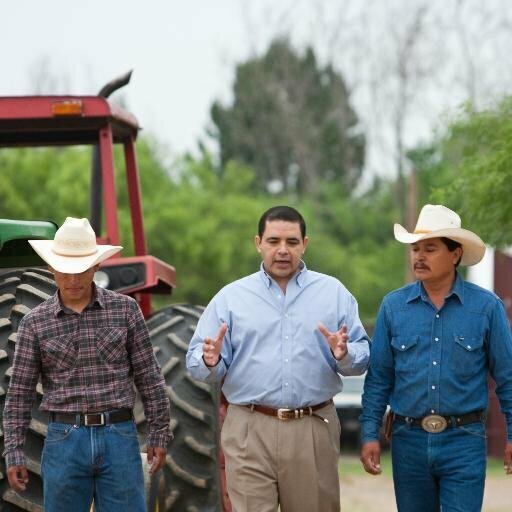 Some landowners in Texas have already received notices. At the present, 670 miles are fenced. Only 1,263 to go. 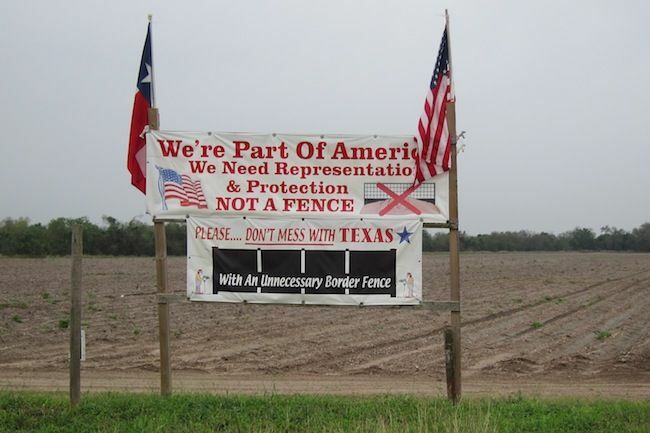 Posted byGeorge Rothert March 26, 2017 March 20, 2017 Posted inPlaces, PoliticsTags: Border fence, Henry Cuellar, Texas1 Comment on How’s That Wall Coming?